By Matt Reimann. Jul 27, 2015. 9:00 AM. As a man of letters, Hilaire Belloc epitomizes diversity of expression. He was a poet, journalist, novelist, historian, lecturer, politician, essayist, and critic. His boisterous expression earned him the nickname “Old Thunder,” as he used books, articles, pamphlets, and podia to get his many messages across. Yet for his posterity, writing some 150 books has perhaps done more harm than good. It has left decades of readers with the question: Where does one begin with such an oeuvre? In the end, it would be foolish to neatly summarize Belloc’s various and complicated writings, but it would be even more foolish to ignore them altogether. One cannot talk about Hilaire Belloc without talking about his Catholicism. His ardent defense of the Church, of its historical importance, of its virtues, of its necessary reemergence as Europe’s dominant religion, is essential to his boldness. It was not easy, of course, to advocate for Catholicism so relentlessly in Protestant England. He was surely a towering theological figure, to whom the likes of Chesterton, Lewis, and Tolkien, are indebted. Belloc argued that Roman Catholicism was chiefly responsible for the greatness and heritage of European civilization, challenging the Whig emphasis on the Anglo-Saxon side of things. He argued that his religion had the necessary dogmas to live properly in an alienating world, and that it is in everyone’s best interest to convert. Belloc’s confidence and audacity is his major characteristic. As an Oxford student, he was a spectator at an Oxford Union debate. When he saw the affirmative position of the issue losing, he jumped from his seat, debated his position, and won the match. He would later become president of that prestigious debate club. As an adult, he went to serve a term as MP in the House of Commons, a position he acquired soon after proclaiming to the constituents of Salford that he was a proud Catholic, rosary beads in hand. Belloc was born in France a few days before the beginning of the Franco-Prussian War. In his youth, he served in the artillery for France, and developed a lifelong Francophilia and simultaneous contempt for all things German. In his book Europe and Faith (1920), Belloc addresses the Protest Reformation. In the book, Belloc works to depreciate the significance and merit of the German Martin Luther, preferring instead to assign weight to the theology and philosophy of the French John Calvin. 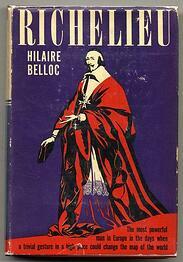 Belloc’s religious furor is capable of alienating a good deal of readers. He wrote a predictably critical work called The Jews in 1922. W.H. 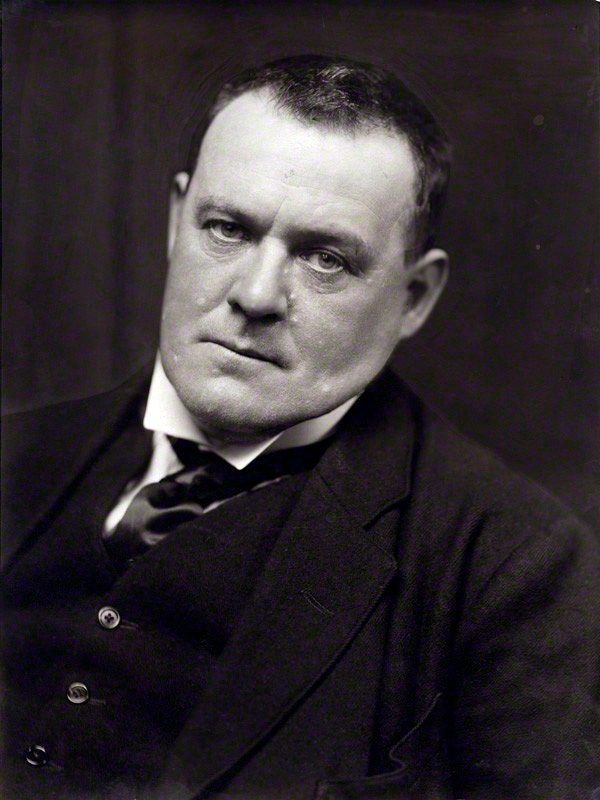 Auden remarked that Belloc was responsible for injecting G.K. Chesterton with anti-Semitism. Belloc was wary of the threat Islam’s spread would have on Christendom. He would also criticize secular scholars when he thought too much emphasis was being put on Classical history at the expense of Christianity. The degree of Belloc’s intolerance is debatable, but one thing was for sure: whether Protestant, Jewish, Muslim, or pagan, no creed was safe from his censure. H.G. Wells, whose book The Outline of History Belloc attacked, said that arguing with the man was like arguing with a hailstorm. But Belloc was not exclusively officious or pompous; he knew how to have fun. He loved sailing and fine wine (and occasionally combined the two by crossing the Channel to pick up the good stuff in France). He also knew how to be funny, and wrote a good deal of satire. Perhaps his most famous single volume, Cautionary Tales for Children (1907) sold 100,000 copies in its first month of publication. The book parodied the previous century’s anecdotes designed to instill juvenile obedience. The book, which features tales of “Matilda: who told lies, and was burned to death,” and “Jim: who ran away from his nurse, and was eaten by a lion,” has made readers laugh for over a century. A. N. Wilson, in his biography of the man wrote: "If I created a character in a novel as Hilaire Belloc, people would not believe it.” His passionate convictions, his complexity of perspective, his playfulness and pomposity indeed make for a person whose identity escapes qualification. Perhaps, in writing material of such variety of mood, opinion, scope, and personality, Belloc has succeeded in a peculiar triumph. He has written a body of work whose very disorganization captivatingly mirrors the messy, unquantifiable composition of the self.